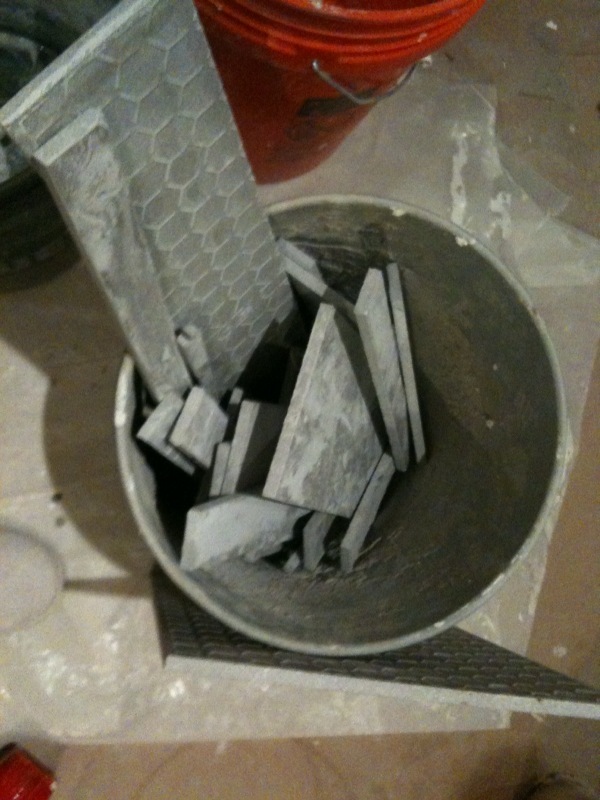 Rob did a great job cutting tile- we ended up with THREE whole boxes (18 2×4 pieces) of floor tile left over. Plus 6 or 7 big scrap pieces and a small bucket of slivers. We’re keeping the big pieces for a theoretical back porch/ basement project we probably won’t get to for 99 years but can’t justify saving these… Anyone feelin crafty? Haha.